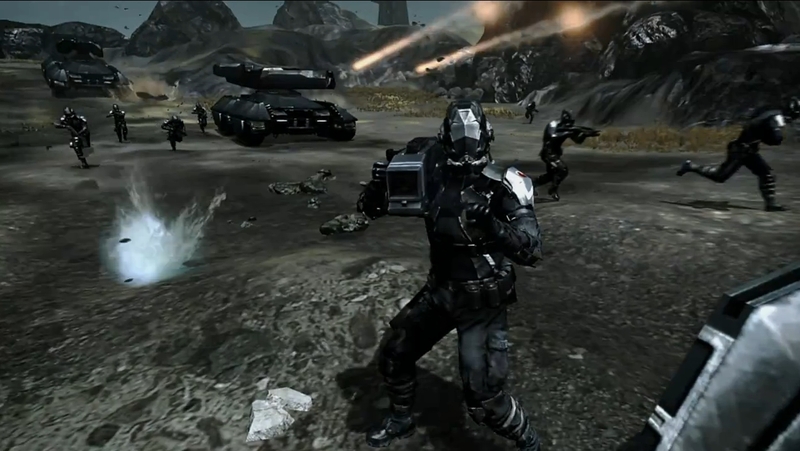 The game developer behind the new DUST 514 PlayStation 3 shooter, David Reid, addresses the future of free-to-play gaming in this interview. Over the past few years the game industry has seen unprecedented growth, in large part due to expanding business models that have opened up new opportunities in social, mobile and subscription-based gaming. Whether buying a traditional game disc or exploring a free-to-play game world, the industry has shifted more to digital business. As the way in which games are delivered and consumed is revolutionized, the shift in the way games are monetized has shaken the industry to its core. While traditional premium game experiences aren’t going away, today’s game publishers, large and small, need to explore multiple distribution avenues to connect with the expanding, and more mainstream, audience that is spending more time, and money, playing games. With millions of new players to be monetized, creating a solid strategy that engages and converts the smaller payers, while still hooking in the whales, is essential. David Reid, CMO, CCP Games, recently spoke at Game Monetization USA, which took place this month at Hotel Kabuki in San Francisco. He talks about the current and future state of the games industry in this interview. One of the key challenges in online gaming is player acquisition. As traditional players have concentrated on the core market, we have seen many new players rise in recent years. What lessons have been learned that will allow traditional players and new entrants get noticed in the online space? We’re part of the big shift happening in the market now, all of us in the games industry. The core way in which games have been predominantly sold the past few years is completely different than the traditional games business that existed through the end of the PlayStation 2 cycle. The days of having one big business model with retailers in which there was a window before the price was reduced and fell into bargain bins are over. Things have changed drastically with free-to-play, micro transactions, and subscriptions, which are still new in the grand scheme of things. Things we once thought of as laws aren’t the only way to do business today. Subscriptions aren’t dead, but they’re no longer mandatory to grow an MMO or live gaming service. The premiere of big games at retail isn’t the only way to get a big AAA game out today. It’s important to learn where the consumer is and how they’re involved with the game and brand over time. It’s also important to remember what’s worked over the years. Some of the bigger publishers in the industry are feeling the pain of how hard it is to change to these new models like smaller companies have successfully done.